Rice & Warch team up to promote women's MX across the nation! John Rice, Tami grew up riding dirt bikes at an early age. When she's not working for her clients through her business TRPro.com providing marketing, promotion and social media development to them, she's using her 30+ years of racing experience to help promote women in the sport. Tami, along with Bonnie Warch, were members of the first American Suzuki Women's MX Team during the late 80's, early 90's. The Team campaigned throughout the States, racing and developing a positive image for women racers abroad. 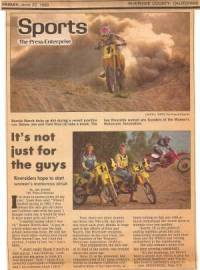 Shortly thereafter and with encouragement from several women motocross racers such as Gale Webb, Mercedes Gonzalez, Kelly Halfhill (aka K.O.) 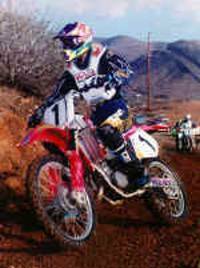 and Augie Augusto of Smart Girls Racing, the two developed the Women's Motocross Association "WMXA" in 1988. The venues the organization promoted ran in conjunction with CRC and CMC's racing programs. Three divisions were offered as women Novice, Intermediate and Expert riders lined the gate of more that 30 competitors ready to strut their stuff while enjoying the sport of motorcycle racing. The organization quickly expanded its' venues with events in conjunction with GFI and the famous Mammoth Mountain Mountain MX event. 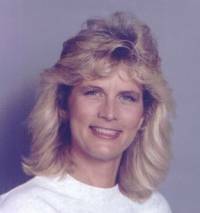 With the addition of Brenda Hannah - a well known Women's Pro Jet-Ski Racer - the association quickly developed into a more well rounded organization known as the Women's International Motorsport Association "WIMSA" catering to Women's Motocross, Jet-Ski, and Auto racing. Mercedes Gonzales was actively competing in Altra-Light competition during the late Mickey Thompson's Off-Road Series, which enhanced the association as a whole. In 1991, Tami was contacted by the Italian promoters wanting US involvement during their 1992 "Ladies Cup" Motocross Internazionale Femminile in Faenza, Italy. The US Women's MX Team concept began when Nadine Holbert of Texas and Tami contacted Elaine Ruff, then a Director of Operations for a high profile after-market company, to assist and support a team of US riders to race in the Italian Championships. That same year, the United States Women's Motocross Team was founded. The four pioneers representing the USA: Tami Rice, Nadine Holbert, Kristy Shealy and Dee Ann Wood went to Italy to compete in the 1992 "Ladies Cup" Motocross Internazionale Femminile, and being the best of the best, placed in 3 of the top 5 positions (click here for official results). After returning from competing in Italy, Tami approached her sponsor, Acerbis USA, with the concept of developing a Women's Chest Protector to accommodate her needs as the chest protector she was using (designed for men) was not doing so. The protector was developed and known as the "Ladies Zoom". This protector is now known as the Acerbis "Ladies Fusion" and is worn by women motocross racers around the world. When a second invitation arrived from Italy, Elaine Ruff contacted Kat Spann, owner and editor of the TEX-MX Newspaper aka the Southern Dirt Bike Journal, to manage the newly founded US Women's MX Team. With support of after-market companies and the OEM's, it started to grow. Finally, there was a chance for women riders to gain the recognition and support not previously offered by the industry. This new concept spread and in 1996 under the leadership of Elaine Ruff, the US Women's Motorcycle League "WML" was born. 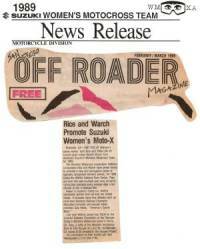 In 2000, Elaine Ruff turned the US Women's Motorcycle League (WML) over to sports promoter Miki Keller. Miki ran the organization for four years under the not for profit umbrella. In 2004, Miki dissolved the non-profit organization (WML) and opened a new business called the Women's Motocross Association (WMA). Tami is very proud to say that she worked alongside Ms. Keller during her reign and has always supported the development of women's motocross. Keller is still actively involved with the sport, promoting female athletes during the X Games and other exclusive events. What is Tami doing now? Old School Scrambles Races through her sister company, www.OldSchoolScramblesRacing.com.